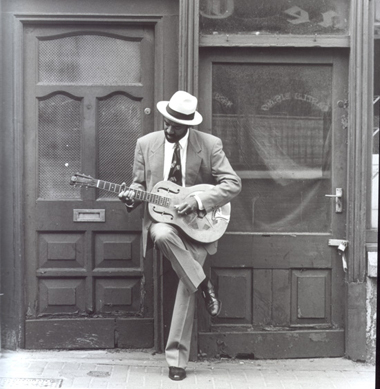 Michael Roach, one of thirteen children born to Theodore and Sadie Roach of Washington, D.C., USA, sings and plays guitar in an East Coast style of blues that dates back to the 1920s. He is an exceptional performer that interacts with his audience and entertains as he plays. Over the past 20 years, Michael has conducted numerous workshops throughout the USA and Europe. As a cultural arts performer, Michael has promoted African-American culture through the use of blues music. He has lectured for the Smithsonian Institute (USA), Oxford University (UK) and more recently at the University of Metz (France). In July 2004, he was involved in the organization of a conference held at the University of Gloucestershire (UK) called 'Overseas Blues - European Perspectives on African American Music'.